We create simple and elegant websites which bring business for you, GUARANTEED! contact for Free Quote. Learn more about our five favourite critters found in Bali! 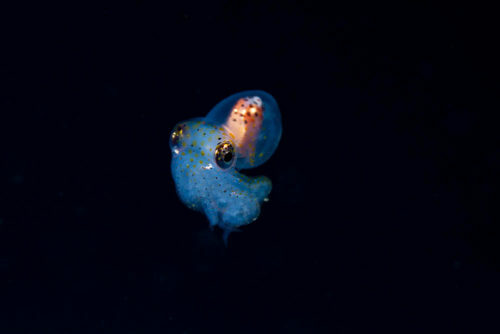 These are the five most requested critters that our guests would like to find on our popular Bali Diving Safari trips. 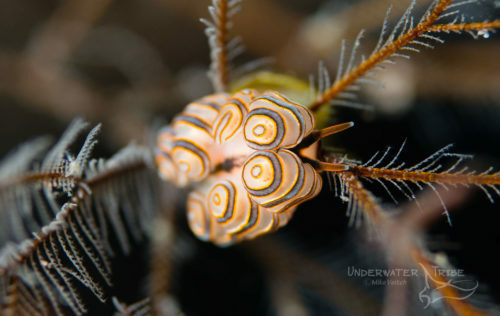 One of the highlights of a scuba diving trip to Bali is the incredible critter life. Photographers and non-photographers alike love to find cryptic creatures. 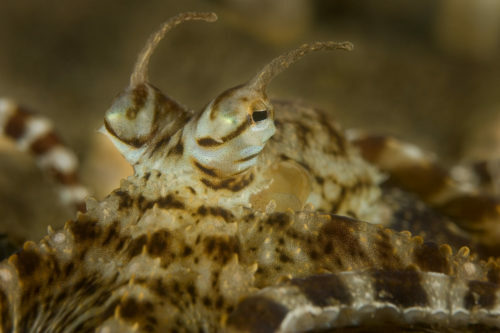 With a large number of critter dives throughout the island, Bali is a world class destination for macro lovers. Dive sites such as the Padang Bai Jetty, Puri Jati near Lovina, and Secret Bay at Gilimanuk are some of the lesser known gems. Tulamben and Amed are home to a variety of black sand sites. There are more than a dozen great macro sites in the area including Melasti, Liberty Slope, Seraya, and many more! However, it’s not the sites themselves that make a dive unforgettable, it’s the creatures that are the stars of the show. Photographers who visit Bali often have a list of critters they want to find. Over the years we have compiled a short list of the “5 Most Requested Critters in Bali” from guests. Without further ado, and in no particular order we present our 5! These gaudy crustaceans are highly requested by photographers and non photographers as well. With their bright colors and a “look” like no other shrimp, harlequins are always a hit. 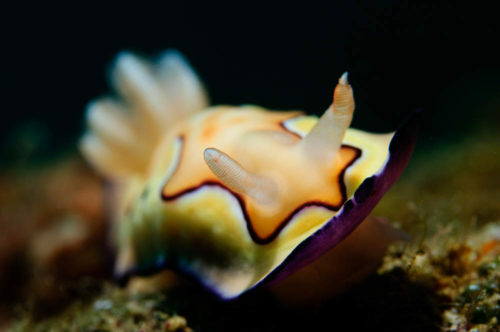 Typically found sheltered under large rocks, these beautiful animals feed on starfish. 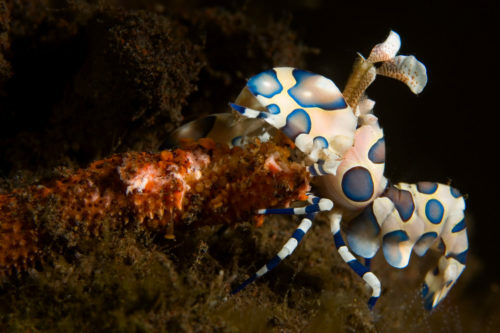 Find harlequin shrimp throughout Bali at sites such as Seraya Secrets, Melasti Amed, and Melasti Seraya. 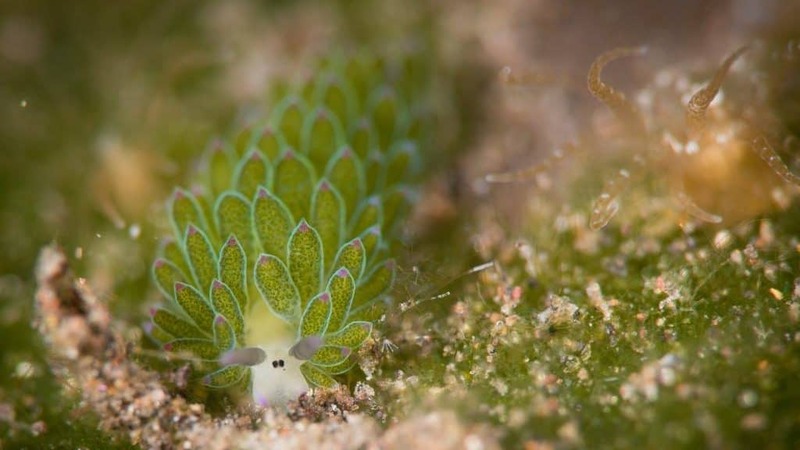 A nudibranch that looks like no other. 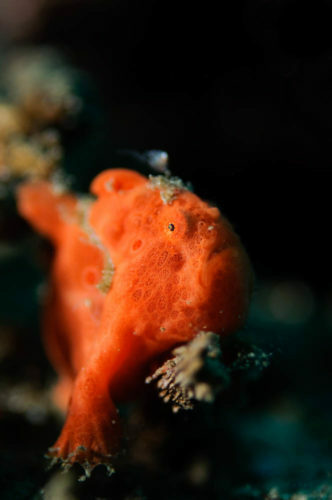 When first encountering the donut dorid, many divers can’t tell the difference between the head and the tail! These nudibranchs resemble six donuts that have been laid out side by side. They exclusively live on and eat hydroids. The best site in Bali to find them is Melasti in the Seraya area. The most sought after octopus in Bali. These long armed octopus are notoriously shy but when feeling confident they can put on quite a show! The incredible flexibility of these charismatic cephalopods means they can take a multitude of shapes. The name “mimic” originates from their ability to take on the form of other marine life in order to confuse predators. Find these beautiful octopus on the black sand slopes of the Amed and Seraya areas as well as Puri Jati in north Bali. 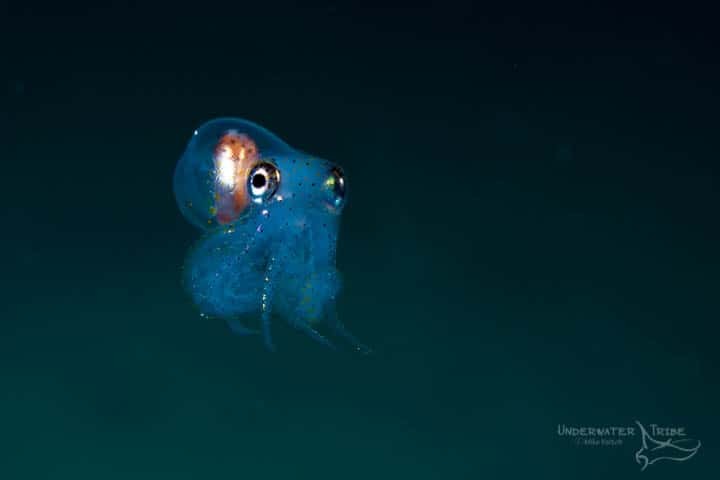 The cutest animal under the sea? 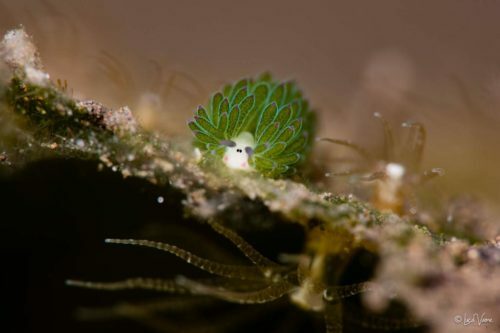 These tiny sea slugs with “eyes” are only around the size of a grain of rice. 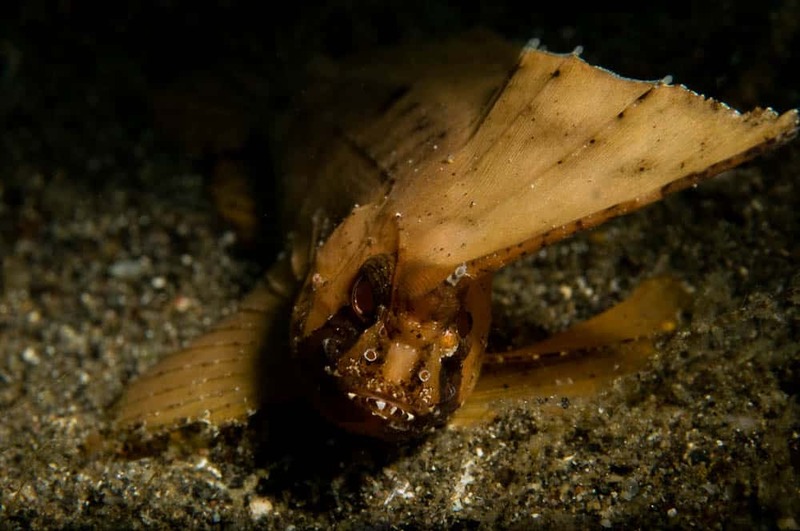 They are found in singles, pairs, and small groups living on certain type of sea grass. Due to their small size, these are extremely frustrating subjects for photographers to shoot. Diopters or tele-converters are a real must when photographing these cute invertebrates. Find these adorable critters at sites in Bali such as Puri Jati and the black sand sites in the Tulamben and Amed areas. Check out it’s resemblence to the popular Shaun the Sheep cartoon to know how it received it’s nickname. Perhaps not as famous as it’s cousin the mimic, Coconut Octopus make up for it in the “character” department. 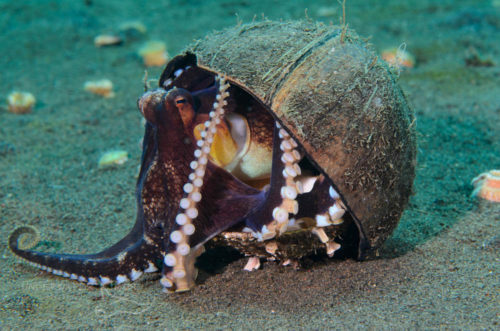 Recently classified as the only non vertebrate with the ability to use tools, “coconut” octopus are named that way for a reason. These highly intelligent cephalopods utilize a variety of items to shelter themselves from predators. They use coconuts, clams shells, and even discarded plastic as protection. Find coconut octopus at sites in and around the Puri Jati area. With it’s location firmly in the Coral Triangle region, Bali is home to countless wonderful critters. These five favourite critters are just the tip of the iceberg of what you can find on a Bali Diving Safari. Frogfish, blue ring octopus, mantis shrimp, seahorses, and an endless variety of nudibranchs are all found regularly by our guides. If you are a critter lover, please Contact Us today to inquire how we can create the perfect dive holiday for you in Bali. What are your Five Favourite Critters in Bali? Have you just finished a Bali diving trip? Or will you be joining us on a safari in the future? Why not let us know in the comments what your five favourites are. 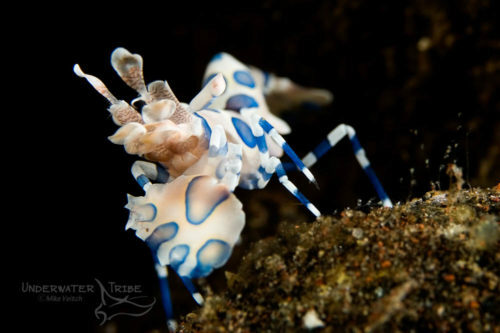 We will certainly try to show you all of these amazing critters on your dive trip in Bali. We are happy to announce a Bali Night Dive Special Offer for April, May, and June 2019. Book a trip with us, including a minimum of 8 dives per person, and receive a free night dive. This is for Bali diving only and the night dive will be in the Tulamben/Seraya/Amed areas. Offer not applicable for night diving in Candidasa/Padang Bai/Sanur/Penida. Bali is a wonderful place for night diving and the NE area is the best on the island. Discover the critters that make the Tulamben area famous such as boxer crabs, nudibranchs, octopus and more. Many of the macro sites in NE Bali are famous for their critters. Sites such as the Liberty Wreck and Seraya boast a whole new level of excitement at night. Our guides are wonderful spotters and their skills really shine during a night dive. The months of April through to June normally have fantastic weather throughout Bali. The rainy season has stopped and it’s what we call the “shoulder season”. This means mostly calm seas and warm weather, perfect for night diving! This offer is only open for a limited time. Please let us know via email that you would like to take advantage of our Free Bali Night Dive special offer! Please Book Now on our Contact Page or ask us for more details. If you are a keen night diver we can also offer Bonfire style Black Water dives in the Tulamben area. These are great dives for unique photographic encounters with bizarre animals. Read more about Black Water and Bonfire dives on one of our recent blogs. Ask us about availability for one of these one of a kind diving experiences during your trip to Bali. We are happy to announce that our latest Podcast is now available. In the studio, for episode #012 of the UWT Diving and Adventure Podcast is Alex Lindbloom. We were on hiatus for a few months as we were busy on other projects during the busy season here in Indonesia. We had a great chat with Alex about all things underwater. For those who don’t know Alex, he is an underwater photographer and film maker who spent 5 years as the full time photo pro on the Mermaid II liveaboard. Originally from Idaho, USA, Alex escaped the cold to make his way in South East Asia. This talented image maker has an incredible show reel of photos and video from all over Indonesia as well as other exotic locations. 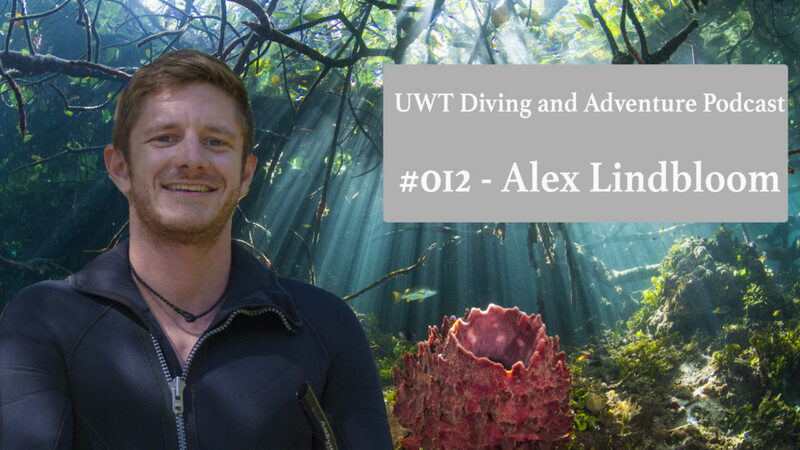 We discuss a variety of topics with Alex including favourite images, award winning imagery, his most memorable dives, and the big ones that got away! Blackwater dives are all the rage in the underwater photography scene these days. Social media outlets such as Facebook and Instagram host hundreds of photos of bizarre and amazing looking creatures on a daily basis. However, many people get a confused look on their face when the phrase “blackwater diving” is used. There is a bit of confusion about what Blackwater diving is in the general diving public. Here we try to explain a little bit more about it. What Exactly is Blackwater Diving You Ask? A blackwater dive is pretty much exactly what it sounds like, diving in the water column surrounded by blackness! There are several ways of doing a black water dive, either on or near a reef or out in the open ocean. For new participants, the best way to become acquainted with black water diving is to try a “reef” dive first. Colloquially known as a “bonfire” dive, this means setting up a series of strong lights on or near the reef and diving in the water column nearby. Most divers feel more comfortable when there is a bottom in view. This is different than a normal night dive as the divers are not checking out critters on the reef. Instead, the goal of a “bonfire” is to hang around in the water column to spot what sort of creatures are attracted to the lights. 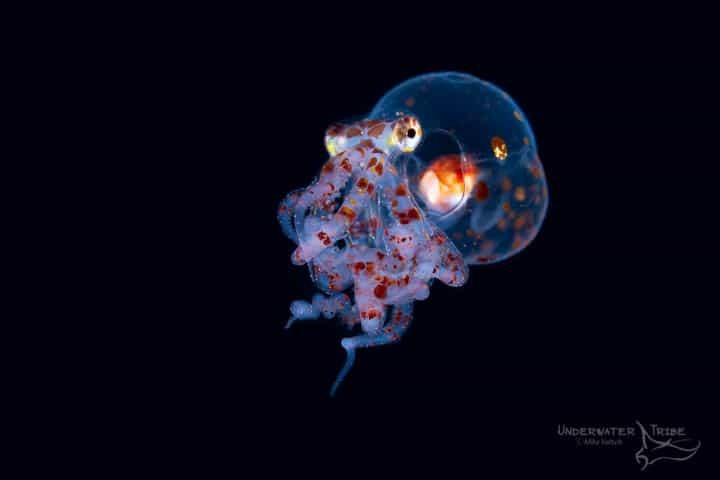 Critters found on these dives are usually juveniles of common reef species such as mantis shrimp, octopus, and reef fish. The “classic” Blackwater dive is done by suspending bright lights on a drop line suspended in the open water column. This is usually done offshore and the divers drift with the line as it’s carried along by the current. 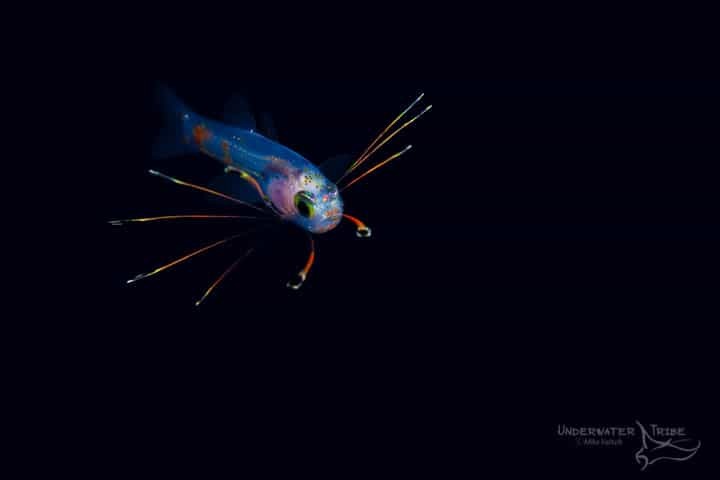 The goal of a true Blackwater dive is to attract bizarre and wonderful critters that rise up from the deep during the night. However, this style of dive is not for everyone. Many people don’t like the idea of drifting over hundreds of meters of water in the dark! One thing to be aware of on open water dives is you ears! As you drift along in the open water following tiny creatures with a camera, it’s easy to lose position. The small fish may be going up or down the water column at random. Pay close attention to your ears and monitor your computer to avoid rapid ascents or going too deep. The Underwater Tribe offers Blackwater dives in Bali. At the moment we offer these in the Tulamben and Amed areas. Let us know during your next diving trip in Bali with us and we can set up one of these truly unique dives! At the moment we offer “Bonfire” style dives only. These dives are available only during Bali Safaris or stays in the Tulamben area. We don’t offer these on day trips from the south of Bali. 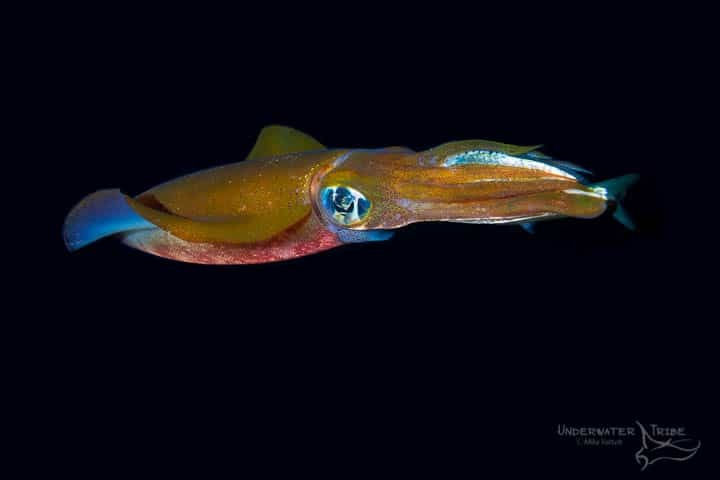 Our friends at NAD Lembeh Resort in the Lembeh Strait also offer incredible Black Water Diving opportunities. If you are booked on our July 2019 Photo Workshop let us know and we can set up one of these dives during the event. If you haven’t booked your space yet, let us know, we do have a few spaces remaining. The freshly elected Governor of Bali, Wayan Koster, has followed up the pledge of his predecessor in starting banning certain kind of single use plastic. Effective from January 1st, 2019, shopping bags, styrofoam and plastic straws will be banned and businesses in Bali won’t be allowed to supply those to their customers. Business will have 6 months to adjust to this new law. After 6 months, local officials will be severely taking action against those business who did not abide to the new rules. One of the penalty could be loosing the operating business license. This much needed strong action has been taken to rapidly reduce by 70 % the amount of plastic entering the marine environment around the Island of the Gods. This is definitely a major step forward towards the right direction and hopefully it will be embraced quickly by all business. 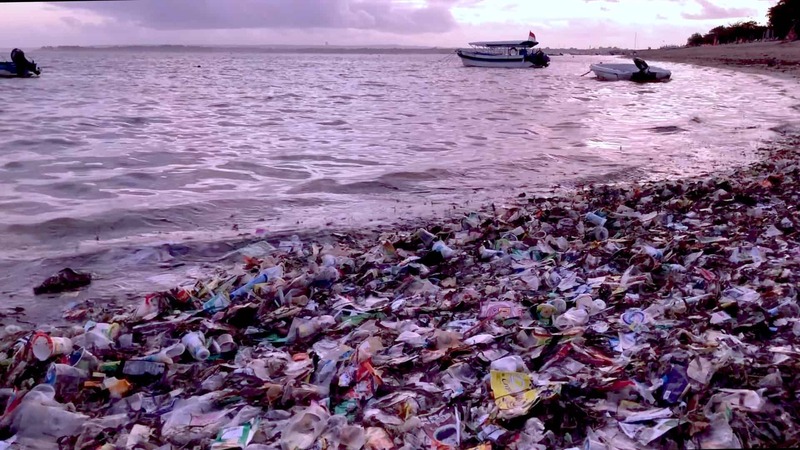 In the recent year the amount of plastic found around the coast of Bali at the beginning of each raining season has been dramatically increasing to the point of total disaster. At the Underwater Tribe we have been witnessing first hand the crisis and we welcome the new rules as the beginning of a new era. We are aware that much more is needed to further tackle this crisis but we also believe that the people of Bali will do more and will set an example for other to follow. Big shout out to Melati and Isabel founders of the Bye Bye Plastic Bag organization who were the first to effectively raise concern and awareness at the Bali local government and, with their good spirit and positive energy, inspire thousands of people in taking actions to tackle the plastic pollution crisis that is not affecting only Bali, but the entire planet. Are we going to get a NEW Shipwreck in Bali ? New Wreck Dive For Bali? Word has it that there is a new wreck dive coming to Bali! Although not officially confirmed with exact dates or details, it looks like Bali will soon have a great new dive site. 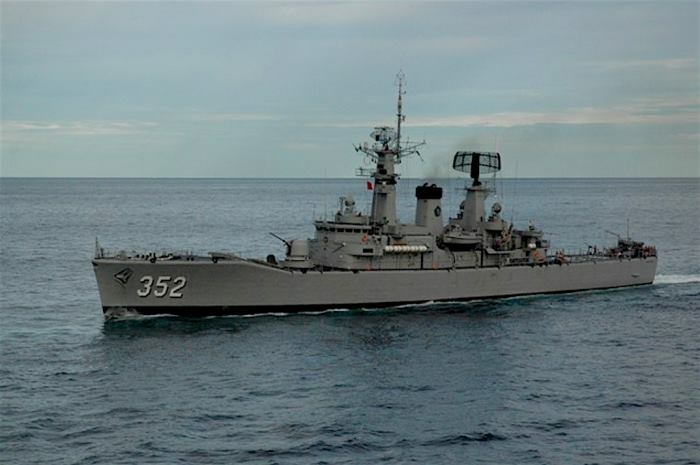 The Kri Slamet Riyadh is a 133 meter long decommissioned frigate and it’s the latest in a long line of ex warships now acting as dive sites. Although Bali is home to two outstanding wreck dives, the Kubu Wreck and the USAT Liberty, there is always room for more! With more than 50 years of life as an artificial reef, the USAT Liberty is world renowned as a premiere wreck dive. A bastion of life, this ship is home to countless species of fish and invertebrates. As an easily accessible shore dive, almost every diver who has visited Bali has dived it at least once. However, its shallow depth means that this beautiful site has seen deterioration over the years. 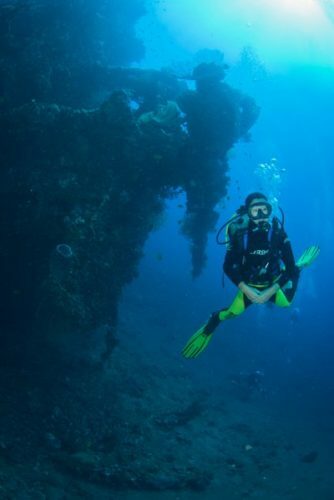 The Kubu Wreck, just a few miles up the road from the Liberty is a great addition to the Bali dive scene. A properly sunk 133 meter long warship is truly something to look forward to. The sheer size of the vessel means there will be plenty of room for underwater exploration, including tech and penetration diving. It will also help spread divers across more sites, which is never a bad thing! Of course, it will take many years before this new wreck is covered in spectacular corals like the Liberty is. But this doesn’t mean the wreck won’t be interesting, in a rich environment like Tulamben there are always creatures looking for a place to hide. Fish will make their homes there immediately and fast growing invertebrates such as crinoids will move in quickly. How does this sound for an interesting trifecta for your next trip to Bali? Already known as one of the best critter dive locations in the world, we will soon be able to offer 3 different wreck dives too! A “Critter and Wrecks” Safari will be just around the corner, a perfect combination for underwater photographers. Combine wide angle photography with the top notch critter finding skills of our amazing guides, all in one fantastic location. Stay tuned for further updates of this exciting new wreck, hopefully it will be cleaned and ready for sinking in 2019!